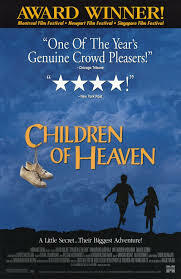 While laden with political undertones, Jack Neo‘s Homerun, the Singaporean adaptation of the Iranian original Children of Heaven managed to be quite touching as a family drama with two kids playing the main roles. Image from HERE. Tip: If you really want to see me cry by watching a movie, then it better be about family. 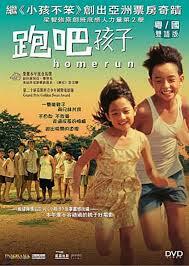 I cried buckets just watching the Singaporean flick Homerun (Pao Ba Hai Zi) on TV. Set in 1965, Homerun centers on Ah Kun (Shawn Lee), his sister Seow Fang (Megan Zheng), and their seeming obsession with finding a new pair of shoes for the girl. If they cannot achieve that specific goal, at least, they have to find the old ones that Kun lost. 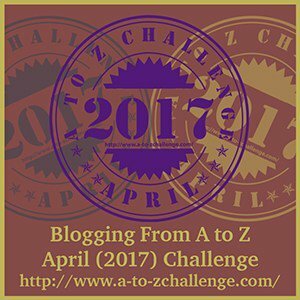 The very significance of the goal becomes understandable from the start. Their family lives in poverty with the father taking all the odd jobs he can find and the mother heavy with a baby. Them being so poor, the siblings know that their family cannot anymore afford to buy yet a new pair of shoes. To solve the problem, Kun and Fang end up using the same worn-out pair that Kun owns. Fang wears them to school in the morning and gets into trouble with her teacher scolding her for wearing boys’ shoes that are even too large for her. Kun wears them in the afternoon and gets into deeper trouble with the principal always catching him going to school late. What makes things doubly hard is they keep the problem a secret to spare the parents from further worry. This only creates complications. In his desperation, Kun is forced to swallow his pride and submit to rich boy Ben Soon‘s (Joshua Ang…In reviews, the character is Ming Soon) demands and conditions just to acquire new shoes for his beloved sister. Homerun has a familiar, universal theme – poverty. However, the actual theme, if you concentrate on the movie alone, is family love as well as friendship. If you concentrate further and are familiar with Singapore’s political history, you will further find underlying messages that Neo did not exactly try to hide. I am, of course, under no authority to comment on this, so I will leave the debate on those who do have authority. Personally, I am more touched by the family love theme. This is what I will concentrate on. It was very commendable of Kun to be so loving and caring for his family, especially for his little sister. The things he did just to replace her shoes and make her smile again surely melted my heart. She was no ungrateful wench either. In her quiet way, Fang appreciated his efforts, never got mad at him, and actually cared for her big brother as well. Both were just victims of poverty, symbolized by the shoes they so wanted. Or by the lack of shoes, to be more specific. You’d have to be touched by the sacrifices the kids had to make, especially Kun when he joined a race and, in his belief, “lost”. His loyal friends, at least, were always there to try and help as much as they could, which was also touching. This movie certainly makes it up my list of favorites. I highly recommend it as a family drama. It is a very well-made story, simple and direct, the best way to get your message across. You’d want your audience to focus on one or two character(s), not bombard them with others’ sub-plots. Too much ingredients and flavor sometimes ruin the taste. The characters in Homerun were well-developed. There were no mysteries that needed to be solved, save from who got the old shoes. No high-tech presentations. After all, it was 1965. Certainly no hysterics. There were crying scenes, yes, but mostly, the situations and long faces would make you do all the crying yourself. If you were me, anyway. The kids were very good actors, particularly Zheng who became co-winner of the Best Newcomer category and gave the movie its first-ever Golden Horse award. The movie wasn’t very sad all through-out, though. In fact, there were a lot of funny scenes, especially with Kun’s friends providing the comic relief. There’s the stereo-typical fat kid who’s supposed to be considered ugly and called pig, but other than that, I have no complaints. For me, this movie – as a movie – deserves FIVE STARS. No questions asked. UPDATE!!! I spoke too soon about the No-questions-asked thing. I was already considering reposting the above review some few weeks back (I wrote this several years ago) when recently, at the seminar I attended, we were shown the Iranian film aforementioned. Indeed, the main plot was there, and I can’t help but feel a bit disappointed because the Singaporean filmmaker took a LOT of liberty copying the original. I won’t elaborate anymore. Now I was thinking that Jack Neo just lost one fan in me. He did clearly state at the start that it was an adaptation of the Iranian original. Even so, I am changing my rating to THREE STARS out of five stars. It is still one of my faves mainly because it was the first I saw and to be fair, many stuff were indeed added. Now, to give merit to the original, I like it as well, despite some parts that I didn’t really appreciate. I commend Majid Majidi for a job really well done! There was certainly an endearing innocence in his main characters. I didn’t really like the father very well, but I liked the much simpler and charmingly funnier plot, made me believe it could happen to kids, that that was a more realistic scenario. Now I’ve got one more title to add to my faves list. FOUR STARS!!! The original version of the story of two kids sharing one pair of worn-out shoes…Image from HERE. For more reviews in this blog, kindly visit the Review Section of my VIEW BOX. I am posting old and new stuff. Ano ang mas gusto mo? Drama-wise, mas iiyak ka sa Homerun. Pero the original is really endearing. Simple pero hindi. I just wish that since Neo wanted to write something satirical, he could have created a whole new story and left the brother-sister story out of it.